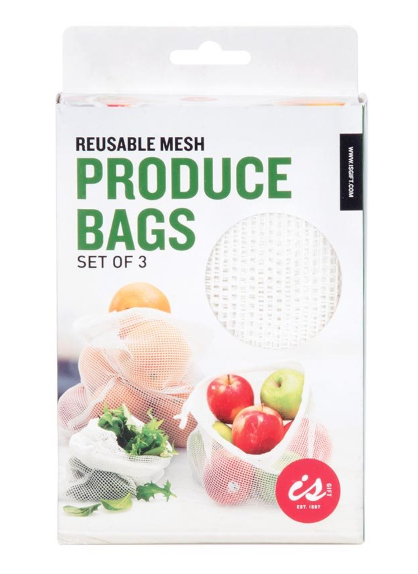 Set of 3 reuseable produce bags. 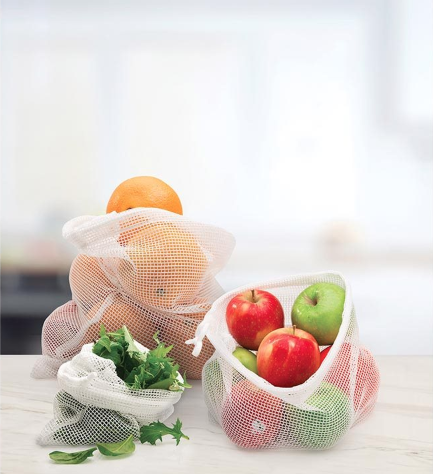 Reduce your consumption of single use plastic whilst grocery shopping. 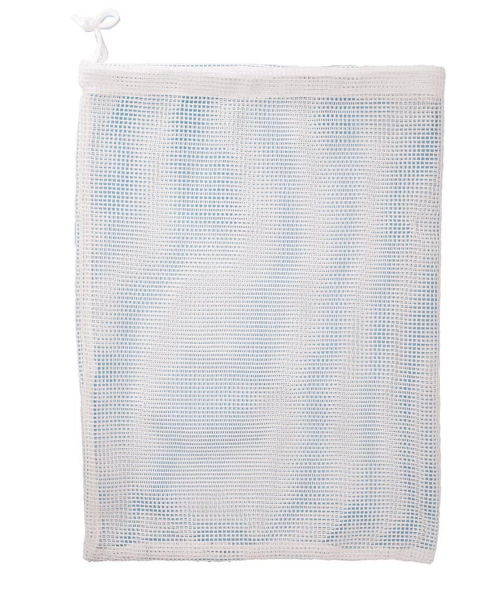 An eco conscious gift. Breathable construction means you can place them straight in the fridge. 1 x 340mm x 300mm, 1 x 300 x 260mm, 1 x 260mm x 220mm.